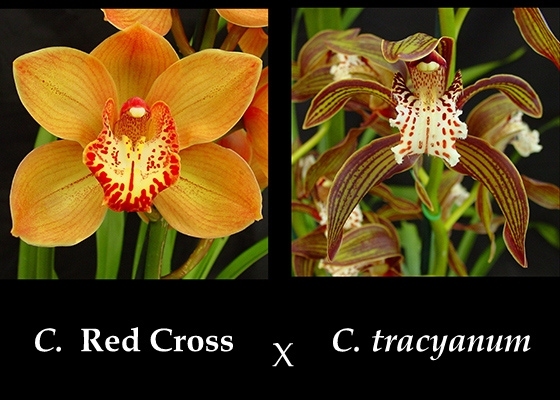 Two of our favorite and most showy Cymbidiums combined!. These colorful, first-bloom seedlings range between bronze and burnt orange, and from solid to striped. Each flower is unique, so if you have a preference ask after those which have an open flower, or order one in bud for a surprise! .Cool growing. November - December blooming.